One of the most amazing thing about Google products is the endless support you get, not to mention all the functionality. The Google team is always hard at work, making changes, bringing about new updates, organizing events, conferences, and so on, which makes Google the best in the market. This fall is no different, and there are about a dozen Google Analytics events coming your way! So gear up, and get ready to learn from the top Googlers and Google Analytic experts! This fall, Google Analytic Team is fully powered up for the upcoming analytics events. Below is the list of key industry events in which Google’s team members will participate. This year's ACCELERATE will be held at the beautiful Centre for Science and Industry in down town Columbus, Ohio. Those of you, who are not familiar with “ACCELERATE”, should know that “ACCELERATE” is a conference on a wide range of digital analytics and marketing optimization topics. Krista Seiden, Product Marketing Manager @ Google, will speak on the topic “Ten Tips for Getting the Most from Google's Analytics Platforms”. Her “ten tips”, will focus on Google's free analytics platforms and technologies. The eMetrics Summit is a most comprehensive and forward thinking digital analytics forum that share Best practices, Tools and Techniques to optimize successful digital marketing programs. Speakers hail from leading organizations such as Boston Red Sox, CareerBuilder.com, The Coca-Cola Company, Dell, Ernst & Young, FedEx, Hyatt Corporation, Microsoft, Office Depot, Unilever and many more. Krista Seiden, Product Marketing Manager @ Google, will present on the topic “The art of being a digital analyst and the road to management”. 4A's Data Summit is a one day Summit that will feature will feature data thought leaders and practitioners from agencies and key data and analytics companies who are data providers to agencies. Justin Cutroni, consultant, author, and the Analytics Evangelist at Google, will participate in a mobile panel discussing, “How mobile data is changing ad target landscape” and “Customizing mobile experience for users”. 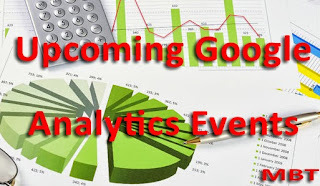 Daniel Waisberg, Analytics Advocate at Google & Founder of http://online-behavior.com, will answer questions from the attendees in “Google Analytics Q&A”. The National Restaurant Association’s first Restaurant Innovation Summit will hold on October 24th, in Denver. The summit will bring together finance, marketing, operations and IT professionals from across our industry. Sessions will cover the latest ideas and innovations that are popping up in operations nationwide. Justin Cutroni, consultant, author, and the Analytics Evangelist at Google, will speak on “Universal Analytics and how it can be an entry into the big data world”. The summit provides the opportunity for businesses and organizations to present their latest products, services, and innovations through exhibits and live presentations to a social media savvy audience. Participating vendors will have the opportunity to network with other professionals in the field, plus reach a multitude of potential customers in a single location. Adam Singer, Googler @GoogleAnalytics, will present on “social media measurement best practices and how you can better value the entire customer journey - across social and your other digital channels”. Europe's, premier event for social media, mobile and online marketing professionals from across the travel industry, will be held at Amsterdam, Noord-Holland. Daniel Waisberg, Analytics Advocate at Google & Founder of http://online-behavior.com, will present “How to place Analytics at the heart of your Marketing Strategy”. This International Conference is dedicated to helping public relations practitioners respond to "real-time" opportunities and challenges, while also addressing trends and new technologies. Adam Singer, Googler @GoogleAnalytics, will be sharing “How to use data for real-time, smart and actionable insights to improve PR programs”. For the first time, “Milan” will be hosting the “SMX Search and Social Media Marketing” event, in Italy. Justin Cutroni, consultant, author, and the Analytics Evangelist at Google, will deliver a session on “Universal Analytics and how this will change the future of measurement”. The DAA Symposiums bring digital analytics, web analytics, marketing and business professionals together for a day of learning, professional development and networking. Justin Cutroni, consultant, author, and the Analytics Evangelist at Google, will share training and best practices for thinking holistically about your digital analytics across channels and platforms, with a focus on mobile. The Smart Travel Analytics Europe summit explores data, analytics and performance strategy for the European travel industry. Daniel Waisberg, Analytics Advocate at Google & Founder of http://online-behavior.com, will deliver “Google Analytics Travel Master Class”. This conference will held at the Seattle Art Museum, and will feature a mix of strategic discussion, helpful instruction and room for creative thinking. Justin Cutroni, consultant, author, and the Analytics Evangelist at Google, will present on the state of Google Analytics. REMIX, is the global summit for culture, technology and entrepreneurship. REMIX brings together thought-leaders and decision makers from each industry to tackle the big ideas shaping the future of the cultural sector. Daniel Waisberg, Analytics Advocate at Google & Founder of http://online-behavior.com, will deliver a workshop on the basics of “Measurement and Optimization using Google Analytics”. very well composed bro, so informative. thanks. I feel the excitement with the above events. Hope to join it personally! Neverthetheless, I will just read it here on MBT! Precious information about Google Analytic experts!......Thanks for sharing.